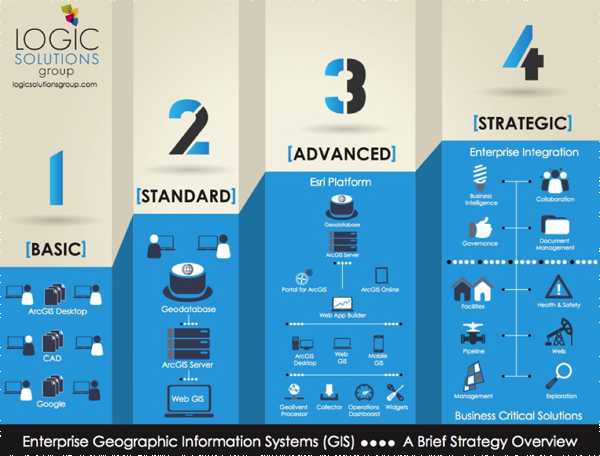 In early 2013, LOGIC presented its first Zero to Enterprise position brief that helped guide organizations through the Enterprise GIS maturity path. With Zero to Enterprise 2.0, the power of the Esri Platform is fully integrated into the recommendations of the maturity life cycle analysis. 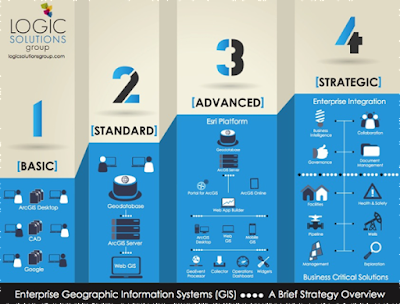 This brief helps you quickly determine where your organization is along the path and acts as a guide to achieving value from the Platform with an eye on attaining a strategic GIS environment. In nearly all of our client conversations, we hear the need for a mature GIS to support the enterprise with improved search and discoverability, collaboration, and decision making that provides a single, trusted source of the truth via an intuitive map interface. Spatially aware, exceptionally delivered, Zero to Enterprise 2.0 is here. Download the brief here and contact us to have a discussion on where you are on the GIS maturity life cycle between Zero and Enterprise.